Photographs of beautiful bridges fill the pages of newspapers throughout the year thanks to the cruise industry and the new craze for railway holidays. Among the stars are the chain suspension bridge over the Danube at Budapest, the medieval Pont d’Avignon on the Rhone and Swiss Railway viaducts on dramatic curves carrying the Glacier Express up the Alps. Bridges are recognised as major sights and landmarks as never before. And this is why the Illuminated River project is so exciting. 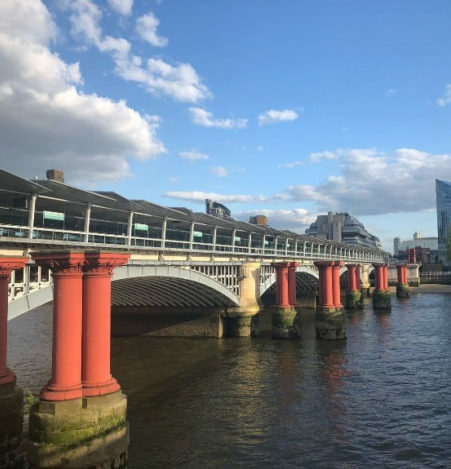 Bridges across the Thames were the making of both Roman and Medieval London and now London’s bridges, which have been regarded so long as largely utilitarian, are being appreciated for their beauty, design and ingenuity. Hardly less impressive are the glorious views of the Capital from London’s bridges – epitomised by Wordsworth’s famous lines ‘Earth has not anything to show more fair’ than the view from Westminster Bridge. 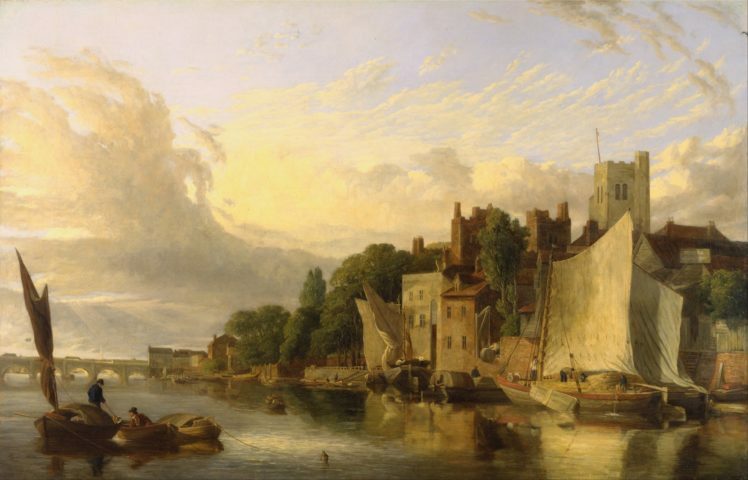 James Stark’s ‘Lambeth from the River looking towards Wesminster Bridge’, 1818. Bridges have long been the pride of cities, above all Paris and Rome. St Petersburg and Venice have dozens of enchanting small bridges crossing canals. Illuminated River highlights the enormous range of Thames bridges. The aerial view of the Illuminated River artwork shows the river following as pronounced a curve as the Grand Canal in Venice as it winds from Tower Bridge in the foreground to Albert Bridge in the distance. In London what has gone is at least as important as what survives. Old London Bridge, begun in 1176 and completed in 1209, became the greatest inhabited bridge in the world – its picturesque houses survived until removed in the mid-18th century. There is a wonderful wooden model of it in St Magnus-the-Martyr in Lower Thames Street. London’ s second river crossing – the 1738-49 bridge at Westminster – was designed by the Swiss engineer Charles Labelye who had arrived in London having never heard a word of English. He found work teaching mathematics to naval officers and though denounced as ‘the Swiss impostor’ won strong support from the Earl of Pembroke who laid the first stone. He used caissons for the first time in England pumping out water to build the piers. Next came the architect Robert Mylne’s Blackfriars Bridge (1760-69) with nine elegant stone arches and superb stonework. Descended from a long line of Scottish masons, Mylne won a competition to design the bridge that received 69 entries and completed it for £163 less than the estimate. Alas, it was replaced in 1869. The three bridges designed by the great Scottish engineer John Rennie are all lost casualties. Rennie’s Waterloo Bridge opened in 1817 by the Prince Regent consisted of nine equal masonry arches with a level roadway like a Roman Bridge. This was demolished amidst great controversy in 1936. The current bridge built in 1937-42 by Rendel, Palmer & Tritton, with the great Sir Giles Gilbert Scott as consulting architect, is a powerful design with delightful steps descending to the Embankment below. 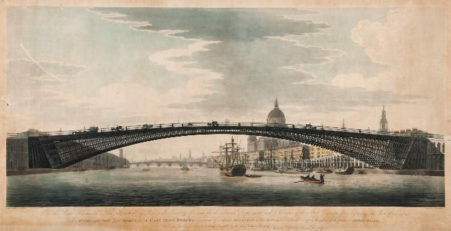 Rennie’s Southwark Bridge, completed in 1819, crossed the river in just three giant cast iron spans, two of 210 feet in cast iron and a still larger 240 ft central span. The iron founders Walkers of Rotherham were almost bankrupted by the work. This was replaced in 1921 by the present bridge by Mott & Hay engineers and the accomplished Sir Ernest George as architect. 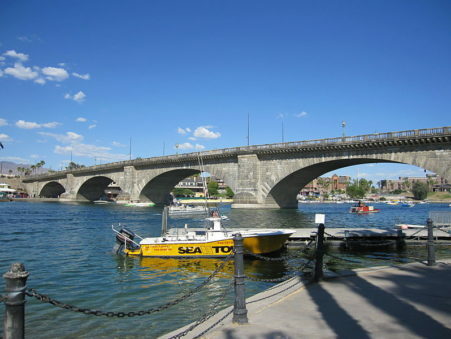 Rennie’s last great work was to design the replacement for Old London Bridge in 1823-31. It was built after his death by his son and ignominiously sold off and re-erected in Arizona in 1968 – again amidst controversy. That bridge’s broader but rather dull replacement was memorably described by Simon Jenkins as providing nothing more than two extra lines of parking space. Brunel’s Hungerford Suspension Bridge of 1841-45, on the line of the present railway bridge into Charing Cross, is another lost masterpiece, though the chains were put to good use in completing Isambard’s great Clifton Suspension Bridge across the Avon where work had ground to a halt for lack of funds. 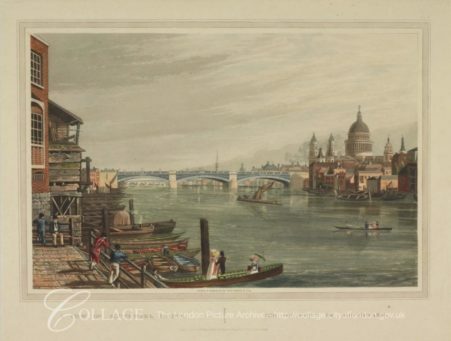 Another partly vanished glory is the original Blackfriars Railway Bridge of 1862-64, by Joseph Cubitt and F T Turner. The impressive bridge piers remain, clusters of stout Romanesque columns and glorious iron brackets bearing the insignia of the London, Chatham and Dover Railway, handsomely repainted in company colours. The red piers of the original Blackfriars Railway Bridge remain standing today. No less intriguing are designs for unbuilt bridges. Most ambitious of all was Telford’s heroic project in 1800 for a new London Bridge spanning the Thames with a single giant 600 foot arch – considered too ambitious even though Telford, another brilliant Scot, was one of the greatest of all British Civil engineers. The design of London’s bridges returned dramatically to greatness with the Millennium Suspension Bridge conceived by Norman Foster and the structural engineer Chris Wise (then working at Arups). This rivals any footbridge in the world for athletic grace and elegant line. A new festive exuberance was added to the river by the Golden Jubilee Footbridges added to both sides of Victorian Hungerford Bridge in 2002 by architects Lifschutz Davidson Sandilands working with Gifford engineers. Telford’s unrealised design for Tower Bridge. Illuminated River’s visionary project is crucial in focusing attention back on the river. The Thames is the setting for some of London’s greatest landmarks – The Tower of London, Somerset House, the Houses of Parliament and County Hall are four of the grandest – followed by the Festival Hall, the National Theatre and of course the two great power stations at Battersea and Bankside. Other lovely riverfront buildings are Lambeth Palace, the Tate Gallery on Millbank, Fishmongers’ Hall on London Bridge and Old Billingsgate Fish Market. There are jeux d’esprit too like the Oxo Tower with its name spelt out in lights and the Buddhist pavilion in the river front of Battersea Park. The urgent need now is to awaken eyes not only to the beauty of the River and its embankments but their fragility and vulnerability. The riverfront is too often regarded as a development opportunity, something to monetise rather than to enjoy. Yet, the Thames is one of the greatest sights in London, soon by night as well as day. Illuminated River will highlight its importance and its potential, as well as the need to look after it much better than in past decades. Marcus Binney has been architectural editor of Country Life and Architecture Correspondent of The Times, and is the author of ‘Bridges: Spanning The World’ (Pimpernel Press). The book features over two hundred bridges spanning the world and the centuries, accompanied by stunning scenic photographs and illustrations; from an Inca suspension bridge made from grass ropes, to the world’s longest suspension bridge in Kobe Japan. Available to order in hardback from Books Etc.